Spring has arrived in The Bay Area. The weather has been gorgeous for the past week, so I decided to make a wool coat. Makes perfect sense, right? 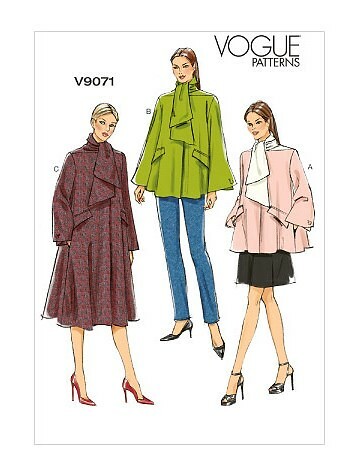 Vogue 9071 is the pattern I chose. And evidently, it is already out of print . . . so I guess not a very popular one. Which is a shame, I think. This design has some really lovely elements. I purchased the wool quite a few years ago (I believe it was from Fashion Fabrics Club, although I cannot be sure at this point). None of my stashed linings were going to work for the project, so I needed to purchase something. Dharma Trading Co. just started selling colored silks so I decided to splurge on silk charmeuse. 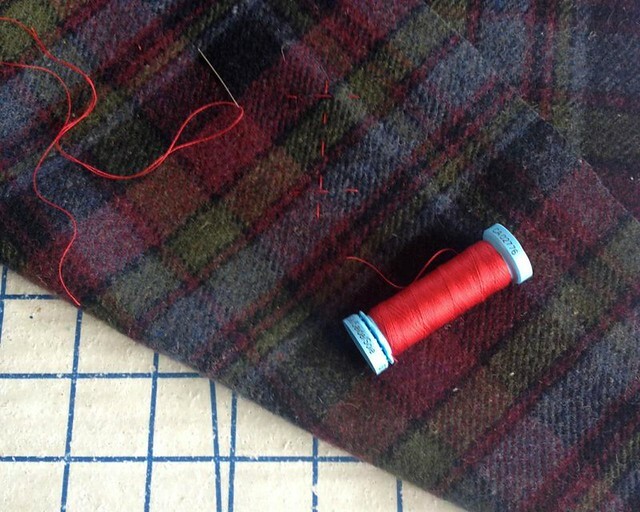 Off I went to their San Rafael store to find the perfect color for my plaid. I am slightly disappointed with the silk because it has what I can only describe as white scuff marks throughout the yardage which I did not see in the store. The silk was dyed evenly - this seems to be something that happened after that process. 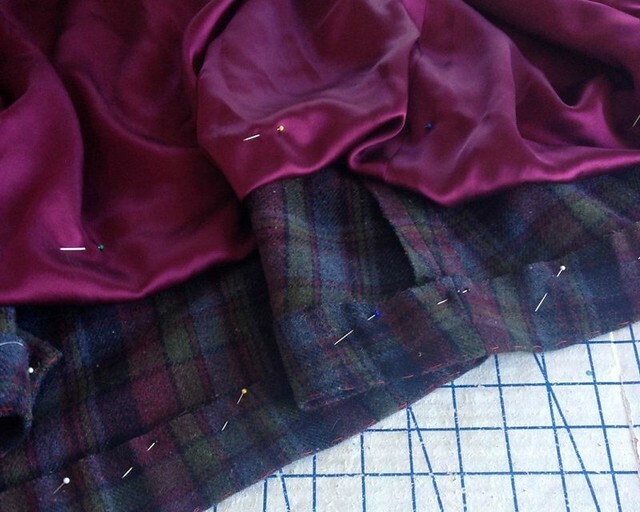 It is not ideal, but at least I was planning on using it as an interior fabric that will not show much, if ever. The sleeves are faced instead of hemmed. 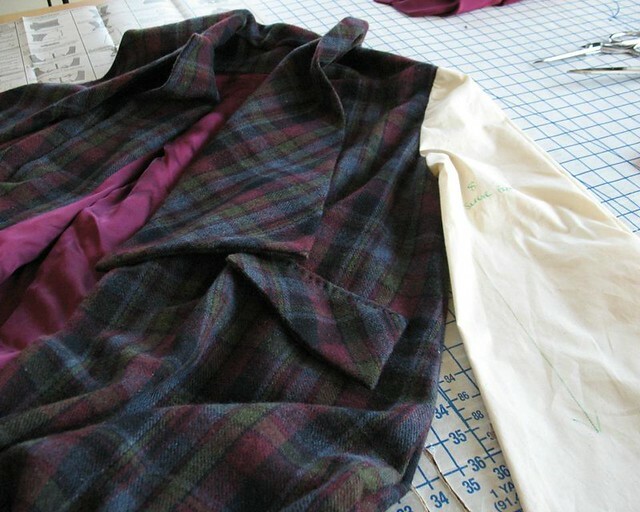 Although I was pretty sure that the coat would fit just fine without significant alterations, the sleeve length was probably going to need shortening, so I made up a sleeve in muslin and basted it in place. 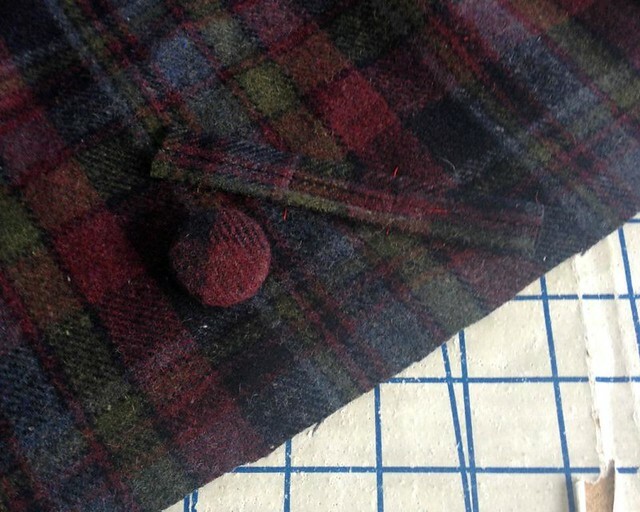 The only buttonholes on this design are on the sleeves. 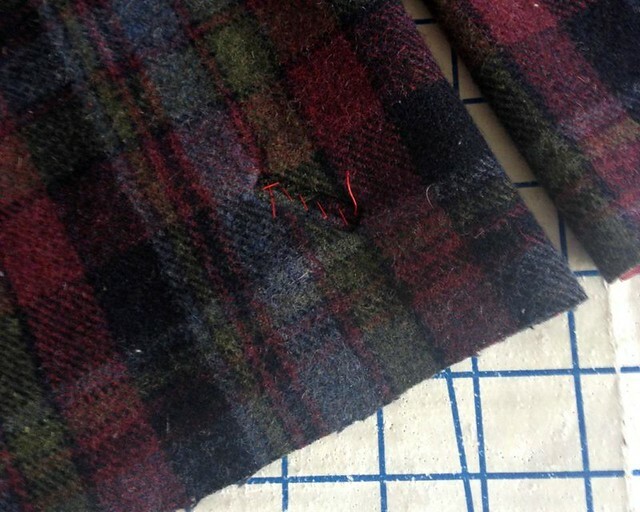 So, naturally, I made bound buttonholes. This is a different method than my go-to bound buttonhole, but I really like how they came out. I do love a bound buttonhole! 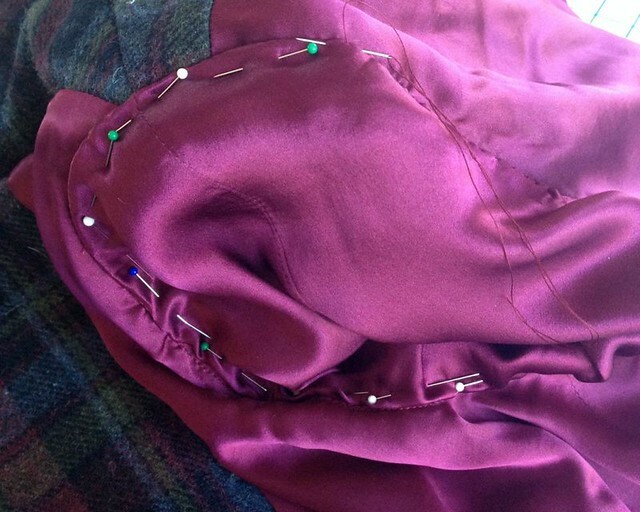 The coat construction was somewhat unexpected. The only issue I had was that these particular instructions do not allow for shoulder pads. Or, at least, shoulder pads that get covered by the lining. 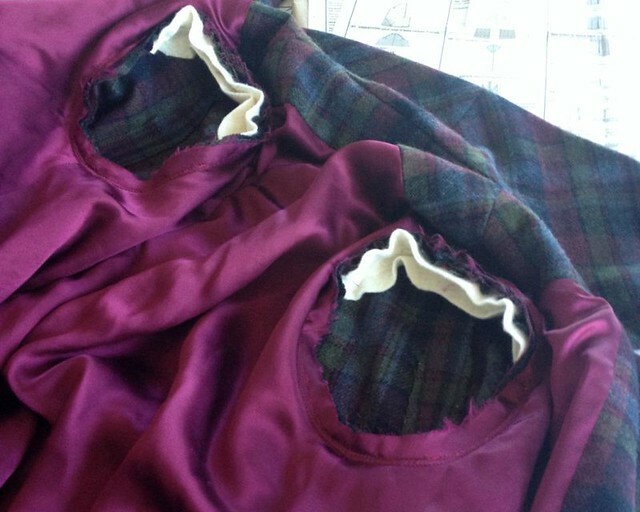 I decided that a soft shouldered coat could work, but I did add sleeve heads. 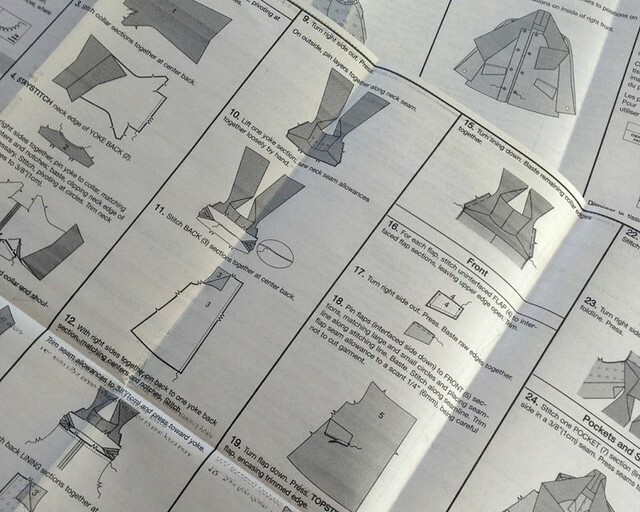 The first half of the instructions read like a ready-to wear garment, but there is a fair amount of hand sewing as well. 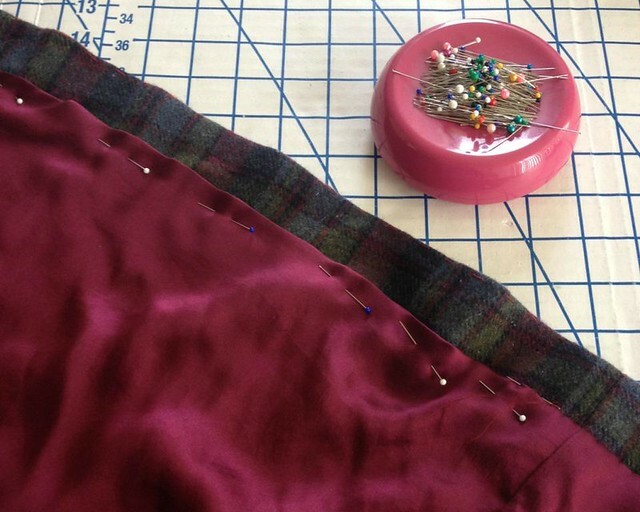 The instructions have the lining free at the hem, but I decided to stitch it in place (the pattern pieces are just as wide as the coat hem, and that is my preferred finish). 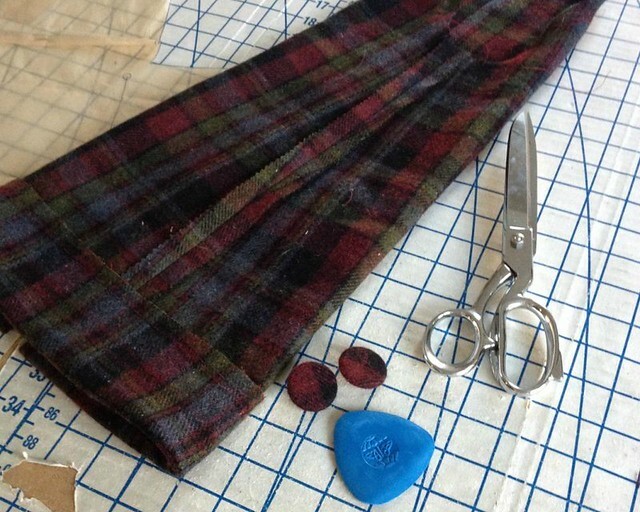 And even though the black snaps blend in just fine with this plaid, I decided to cover them with scraps of my silk. Because they are so much prettier! I am not sure this coat will get much wear before the Spring weather takes full effect, but I am glad I stuck with it, just the same! Beautiful plaid! I also prefer sleeve heads vs. shoulder pads. Looking forward to the finished coat. 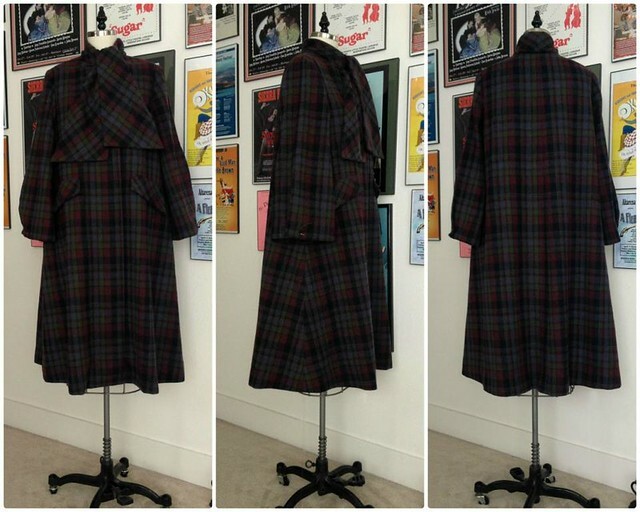 I can't really see the shoulder line/top of the coat, either on the pattern envelope or the finished version. How does that work (besides lacking in shoulder pads or structure)? That said, the coat looks beautiful and I love the covered snaps. I have a flared coat pattern from the 60's (Sybil Connolly I think). 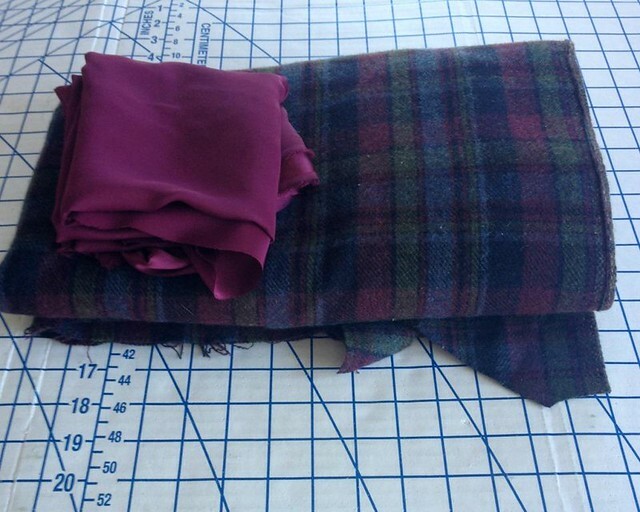 I have a camel colored plaid wool that I plan to make a flared coat from and put a lace collar on. 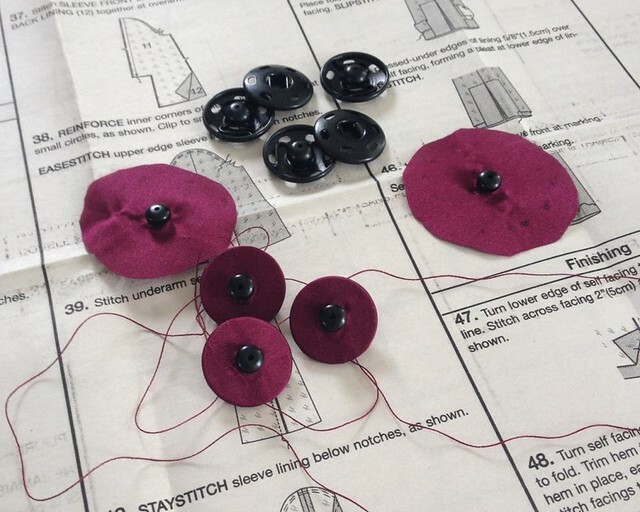 With all the sewing projects for family I don't know when I will get to it but it is nice to think about anyway. Your coat is ideal for a fall/winter trip to NYC.